Delightful hardback gift book full of colour photographs has a foreword by the wonderful etiquette expert William Hanson. 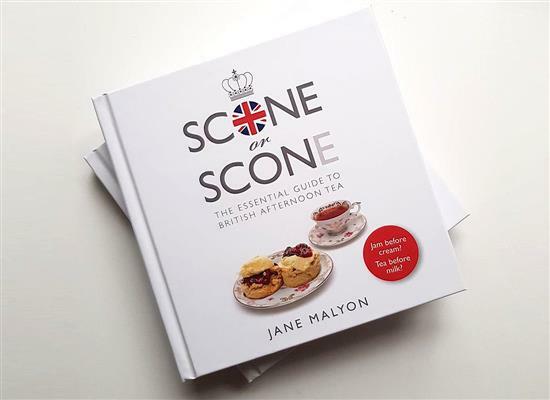 The book explains all about the great British tradition of Afternoon Tea, how to hold a tea party, what to look for in a great tea room etc. It even includes an Etiquette Quiz to see if your manners are Palace ready! Would you like this signed by the author? Who would you like it dedicated to? We can send this book out worldwide - and it can be signed by the author Jane Malyon if you wish. Just let us know in the notes section if the book should be dedicated to a particular name.